Enjoy a walk through Heritage Village with buildings as old as 1853. These historical buildings provide the perfect background for photos and programs. 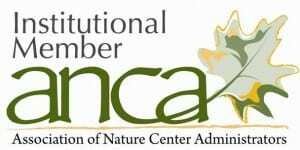 The buildings are closed weekdays and weekends during business hours, however, they are open with interpreters during festivals & events such as Sugarbush Festival, Earth Day, and more. The cabin was built by William Robinson in 1866 then reassembled here in 1971 by contributions from Mr. & Mrs. Andrea. The Robinsons, a family of 13, were the first occupants and later replaced by the Kuhtic family. 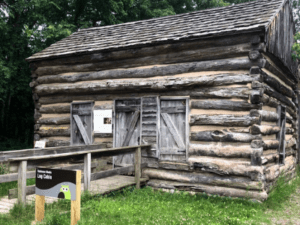 The cabin was donated to Blandford by son Joseph Kuhtic and a donation from the Grand Rapids Jaycees made renovations & additions possible from 1985-1986. 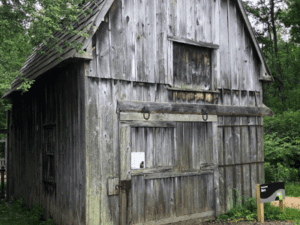 This small barn was originally built in the late 1800s in Grand Rapids as a carriage barn, and was moved to Blandford in 1974 by a donation from Mr. & Mrs. Jack VanHouten. Inside are authentic pioneer farming tools such as plows, scythes, horse tack, and more. 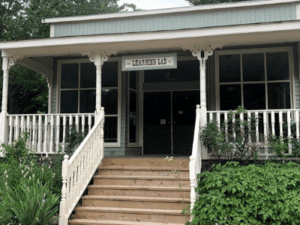 In 1986, the former General Store is modeled after old-fashioned general stores of the 19th & 20th centuries and was built with the help of staff and volunteers. In 2012, it was renamed the Learning Lab after being converted to classroom space to accommodate the growing need for educational programming. The blacksmith shop was built in 1869 and originally stood on the corner of 24th and Rily in Jamestown. 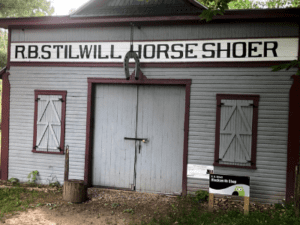 The Stilwill family created it and used it as a working blacksmith shop for a century before donating it to the Grand Rapids Public Museum in 1969. In 1983, it was moved to Blandford and has hammers, anvils, and forges for live blacksmith demonstrations. 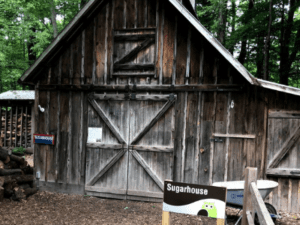 The sugarhouse was built on site by staff and volunteers in 1981 funded and donated by Louis Kenyon in memory of his wife Anastasia. The sugarhouse is open in late February through late March for maple syrup production which is bottled then sold here at Blandford. During Sugarbush time, two stainless steel tanks hold the maple tree sap throughout the season. 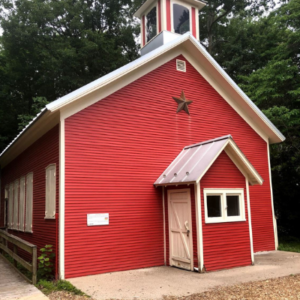 The one-room schoolhouse was built in 1853 and originally stood on the corner of 8th Avenue and Lincoln Street. The building was donated and moved to Blandford in the summer of 1972 by Mr. Cecil Doyle, Dr. & Mrs. Jacob VanLoo, and Mrs. Dorothy Cassada. It was used as a functional classroom and now shows visitors what class was like back then.